Are the accents a problem in the new Hitman video game? The Hitman video game by Danish outfit IO Interactive has been one of the year’s top games, offering a great gameplay experience to both fans of the series and newcomers alike. In the Hitman game, players take control of Agent 47, the bald anti-hero who takes on assassination contracts for an organization known as the ICA (International Contracts Agency). 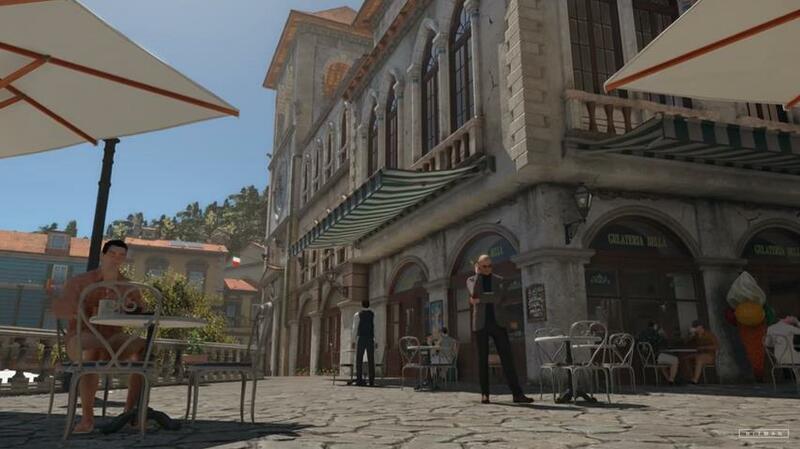 These contracts take the hitman to locations all over the world, such as Paris in the game’s first episode, where Agent 47 is tasked with putting down a terrorist duo in charge of an international fashion company, while in Hitman’s second episode Agent 47 travels to the sunny Italian town of Sapienza to take care of a troubled scientist working on a lethal virus. And while it is true that these locations are beautiful-looking and true to life, some commentators have complained about the game’s voice acting, mainly the lack of local accents in the game. Because it wasn’t hard to notice that in the game’s Paris mission almost every single character spoke with an American or British accent, except one or two characters that delivered their lines with a Middle Eastern accent. This was only slightly off-putting in the game’s Paris fashion show mission though, as it was feasible that the bodyguards in a European location would be of American origin, or that the show’s attendees who spoke in British accents could have come from across the English channel. Is Sapienza a favourite destination for US tourists, or is it that Hitman’s voice cast is not diverse enough? The prevalence of US accents was more jarring in the tiny Mediterranean town of Sapienza in Hitman’s episode 2, and did work against the globe-trotting and high-class European tourism atmosphere the game is clearly trying to achieve. Neither of Hitman’s targets in that mission, scientist Silvio Carusso or his partner in crime Francesca de Santis sounded like Italian nationals at all, which was weird in what otherwise was a great mission overall. But the lack of diversity in Himan’s voice cast became more of an issue when the game’s third episode, Marrakesh, was released last month, with a Forbes writer stating that some actors in the game “sound like Southern California suburbanites”. 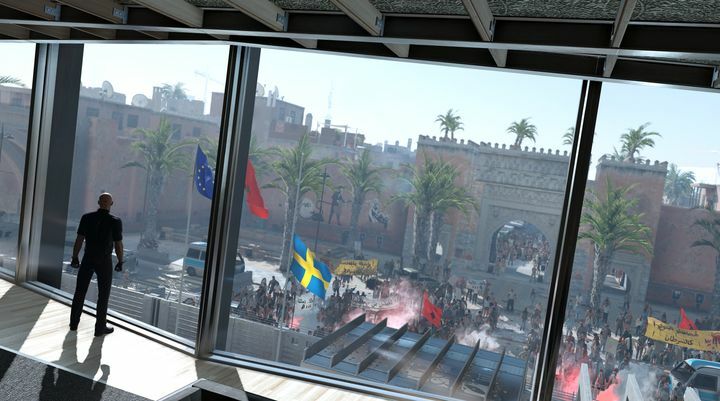 And the truth is that it was a bit silly to encounter so many characters speaking with American accents in the Swedish embassy in a Northern African location like Marrakesh, while Agent 47’s target General Zaydan sounded more like a British expat than a Moroccan general. The thing is though, while it would be great if Hitman’s voice cast would be more diverse when it comes to accents, this shouldn’t detract from player’s enjoyment of the game. And while featuring ethnic accents would no doubt help make Hitman’s great locations even more realistic, bear in mind that games like Assassin’s Creed Unity (which was set in Paris), had its characters speaking mostly in British accents, and wasn’t a less enjoyable game as a result (and clearly that game had other issues besides its character’s accents). But since a future Hitman episode will be set in the US, character’s accents won’t be an issue in that case, although it would be great if the game’s upcoming Japan mission did feature Asian accents to make for a more realistic atmosphere… But either way, it is clear that Hitman is still shaping up to be one of the year’s top video games hits despite this controversy. Next: Will The Witcher 3 Game of the Year Edition feature anything new? Will The Witcher 3 Game of the Year Edition feature anything new?